There is so much going on in “Dark Room,” the penultimate episode of Life Is Strange, that I found it hard to lock down a satisfying message for this review. In each rewrite, one idea that kept floating to the top was the notion that the game, like Twin Peaks, is a story of layers. 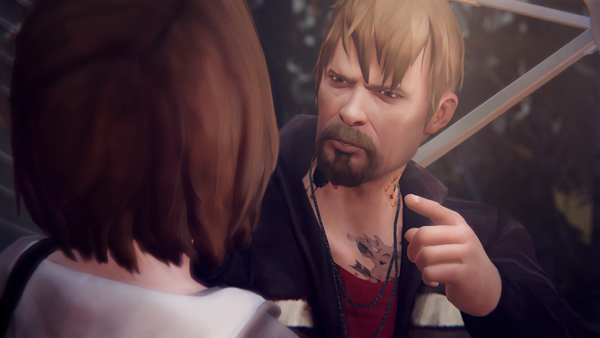 In the game’s first three episodes, we’re treated to two representations of Arcadia Bay. The first is something you’d see on a postcard: a picturesque beachside community nestled snugly in the Pacific Northwest. The second, which is exposed through Max’s interactions with her classmates at Blackwell Academy coupled with the mystery surrounding the disappearance of town sweetheart Rachel Amber, reveals an alarming pattern of drug use and bullying. The events that occur in “Dark Room” pull back Arcadia Bay’s final layer, exposing a heinous evil that completely changes the dynamic of the game. What began as dreamy story of a time travelling teen takes a sharp turn into truly uncomfortable territory. There is strength in “Dark Room.” It is a pivotal episode that sets up the final, tumultuous finale of the five episode series. Before it gets going, however, the episode stumbles out the gate during a mostly unnecessary interlude. After Max “fixed” Chloe’s past by preventing her father from dying in car accident, her manipulation of the past created an alternate present where Chloe’s dad lived but his she herself fell victim to a similar accident and turning her into a paraplegic. Wracked with guilt, Max discovers that in this timeline, she hasn’t seen Chloe since the accident and finds her parents crumbling under the weight of medical bills. This moments dives deep into the pool of melodrama and although it doesn’t feel forced or manipulative, the moment is fleeting. 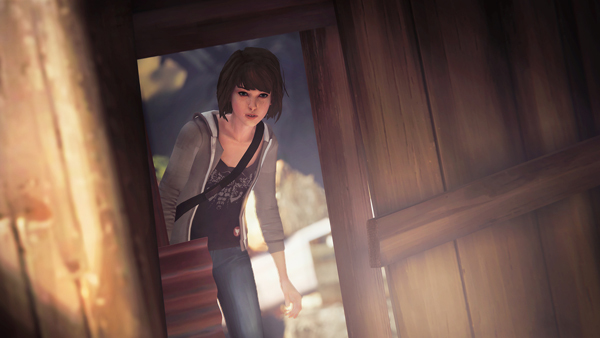 Across the Life Is Strange community, there was speculation that Max’s trip into an alternate timeline would shed new light on the mystery of Rachel’s disappearance. The possibility of exploring a different Arcadia Bay, where Max is close friends Victoria and a VIP member of the Vortex Club, was exciting and had the potential to offer some unique interactions. On the other hand, that’s content for an entire second season and couldn’t possibly fit within the framework of the story DONTNOD is trying to tell. The scene is hardly pointless as it serves as a reminder to the mysterious nature of Max’s power and her inability to initiate change without affecting someone. Despite having the power to jump back at least ten years into the past, she cannot change the path of one person without harming another. Her interactions with Alternate Chloe serves as a harsh lesson against meddling as Max is forced to undo her actions and stand aside as fate brings ruin to Chloe’s life. This leads to a heartbreaking scene as Max, in her younger state, offers a desperate plea to Young Chloe to stay strong against whatever happens. The timeline is ultimately restored and although Max is visibly shaken, the events are never brought up in for the rest of the episode. The episode proper begins as Chloe and Max resume their search for the whereabouts of Rachel. As the students at Blackwell prepare for the infamous Vortex Club-hosted “End of the World” party, the tone of the game begins to shift and slink towards something sinister. The girls spend a significant amount of time scouring locations and talking to key people in their search for clues that are organized CSI-style on a bulletin board. Their careful examination of the materials leads them to some fairly dark places, beginning with Nathan Prescott’s dorm room. DONTNOD is really good with the concept of “show not tell” and the trip to Nathan’s room marks the beginning of the game’s journey into the depths of nightmare. Life Is Strange is a beautiful looking game that is rich with vibrant, warm colors that inspires calm and relaxation. Nathan Prescott’s room, on the other hand, offers swathes of black and dark grays, a color palette that instantly evokes feelings of unease. From that moment on, an ugly feeling of dread and physical sickness slowly bubbles to the top as the girls clue their way to an abandoned barn that holds the truth about Rachel Amber. The unease reaches a head when Chloe witnesses something terrible and I, left to ruminate on the implications and context of the reveal against previous episodes, felt genuinely sick to my stomach. For those wanting to see the effects of their decisions, the episode offers a chance to have significant conversations with two major characters that - depending how you’ve dealt with them in the past - will make them friend or enemy or worse. 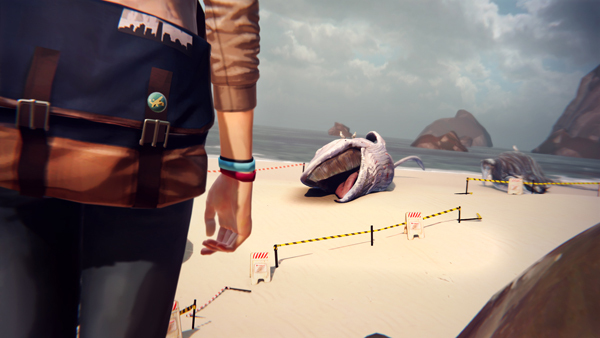 Life Is Strange places a lot of weight into its characters, to make them more than just tropes and stereotypes. This is best shown in the interaction with Frank, the town’s local drug dealer. Depending on how you steer the conversation, there’s a chance to break through the man’s defenses and see his true self. The key players in Arcadia Bay turn out to be more than just caricatures of small town life and in a game where its biggest theme is looking beyond first impressions, this is an important detail. This is a pivotal episode for Life Is Strange. Its final moments set up the game’s finale by way of a plot twist that I really didn’t see coming. It raises many questions and with only one day left before the tornado approaches the town’s doorstep, I’m left wondering how the crisis will be resolved - if at all. Will the town succumb to its apocalyptic fate? Will Max’s time travel powers be explained? Or are such things incidental? With Twin Peaks, David Lynch believed that solving the murder of Laura Palmer was less important than how her death affected the town. Life Is Strange seems to be following the same path. And it’s infuriating to know that it’ll be at least a month until we see a resolution. “Dark Room” delivers the same level of high emotional drama as previous episodes and raises the stakes for what is expected to be a busy finale. “Out of Time” increases the complexity Max’s life and the power she commands. Keep a box of tissues nearby.